[quote=Squee L-chan]Just thought I might start this up, you know, in the official 2008 Memory forum. This is where you post who you are, what you were, and all that info and find people who remember you. I was the L who repeatedly fell over and yelled "Shinigami!" to Bleach characters/crashed the Bleach photoshoot on Saturday, had the L laser pointer light thing, handed chocolate to a few Mellos on Saturday night, asked Light how he and L changed their clothes when handcuffed together, walked around with a giant pocky box, danced with a ninja on the 2nd floor, gave candy to a few Ls, bought Light an apple, asked Brad Swaile what it would be like to have Ryuk as a roomate and what he would do if all his characters came to life, WORE SHOES, and Watari ran away from me calling me an imposter. I was with my friend who didn't dress up, and we took pictures of almost everyone from Organization XIII. I was Jamie from HM:Magical Melody ^-^ Anyone see me? ?.? Did anyone see me? I was Pikachu, and during the four hours of being in line, one of my ears broke off my headband so I had to hold it up for pictures. There were a bunch of pictures taken of me and my other Pokemon-cosplaying friends,but I haven't seen any yet. I was the Edward Elric on all three days who wandered around with Marluxia (2/3 days) and a Xemnas (1/2 /3 days ;3; ), face palmed when Marluxia screeched on the first day after getting Greg's autograph, shouted "Run run away, Mustang!" during the Fullmetal Legal panel, held up a 'you all just Tom Selleck'ed it up' sign with Marluxia during the masquerade line, sang the Jigglypuff song with said Marluxia, had a brief name calling match with an Envy on the first floor, surprise glomped by that big yellow guy on the first day (pre ID pickup. If anyone got a picture of that, I will love you forever! ;3; ), shouted 'For Pony!' to a Richard, and nearly got killed by Scar at least once during one of the accidental FMA photo shoots outside of the OHSHC panel. I was a Chunnin Exam outfit Sasuke. I was only there on Saturday, walking around with a woman in a black coat, a Naruto, and a Kakashi. Srry people but, Naruto cospay is so common these past years. Nothing distinctive, ya could've been anyone. Same goes for Death Note, and Full Metal Alchemist cosplayers, and Kingdom hearts. Anyways.....My cosplays aren't that common. Did anyone see me this year? I was Bouquet from Blue Dragon. Black hair in pigtails, blue dress, maid apron. Well the show didn't air on CN untill shortyly after Anime boston was over. So yeah, not that many pics were taken of me. I was holding a Piplup plush in my arms, maybe some of you mistaken me for a piplup girl. I was only there on Saturday and I was dressed as Riza from D.N.Angel and I traveled with a fairy well done Misa and a girl with curly brown hair. I was also the one in the window and Saturday with the sign "THIS IS THE LINE TO GET IN!" ok so on friday in the morning i was in line waving to everyone outside jw if you were one of the ppl that waved back? [quote]Did anyone see me? I was the one being wheeled out on a stretcher Friday morning T-T. I didn't see you, but what happened?! That stinks, having to be carted out on a stretcher. Glad you were able to make it back to the convention. Be careful!! X.x; Uhr.. well.. I hadn't really intended on popping in here, but since I have, I suppose I'll ask if anyone saw me.. I was my usual Himura Kenshin as can be seen in my avatar.. if you'd like to see more pics for identification purposes, just ask. Was it this year I caused my usual trouble in the Karaoke room? >.>; I can't remember if it was this year or 2007.. "Eyes On Me" and backup dancers, anyone? That was me.. Most people seem to remember me from the Dating Game in 2006. Friday night I had fun doing, for the first time, a "Modern Kenshin" where I wore leather pants, leather boots, and a black dress shirt with a ribbed tank underneath. Complete with classic Kenshin X-scar, of course. Oh, right! I did Relena Peacecraft from Gundam Wing, her blue birthday dress.. Saturday night, I think? I don't think I did Ayame from Inuyasha this past year.. (Did I?) These conventions are starting to all run into eachother for me LOL I did Sakuma Ryuichi in 2007, on Sunday only..
anyone remember me? I know a lot of girls appreciated my neko ears and lab coat I had on saturday. Haha I saw you. You were one of the funniest people I saw all weekend. xD The Game sign made me laugh. ~I was I think one of (if not the only)people who did a MAR cosplay last year. I was also Yuki Nagato with a cape/witch hat/magic wand as well. If anyone has pictures of me as Yuki let me know. I was wearing glasses and am a little chubby and i was with a larger girl who wore bunny ears and a very small girl who had cat ears. because I heard about it at the last moment is why. I was also wearing a name tag that says "Yammark". I wish I had seen you. I was Satoshi Hiwatari from D.N. Angel. I was one of the ones in the hall who did a conga line singing "DN Angel Conga Line." I was a really bad Roxas. Haha. But I DID have the shirt, but instead of his zipper thing, it had a little patch on the chest with his nobody symbol thing. Other than that, it was just a black longish-sleeved shirt underneath and skinny jeans. My hair was brown, short, and kinda swoopy-to-the-side. Hahaha. I doubt many people know me here, but my deviantart account (I THINK) has pictures of me. [quote=desertwolf4]I wish I had seen you. I dunno if anyone would remember me. I was a Chocobo Rider. My legs were the chocobo's legs and I made it look as if I was riding it around the con. There were a couple chocobo riders last year. I wasn't the girl at the masq, my chocobo was more cartoonish looking, but still made a lot of people go "WTF?!" Friday morning we left at around four after not getting to bed till twelve I was already sick and had to get out on the high way once to....vomit. T-T waiting in line for registration made it worse cause i had to stand and had no acess to water and was stuck carrying a ton of stuff for our table. once we got to the table i just kept getting worse and they brought me down to the health center. they had AB just before my birthday that year so i was about to turn 18 but wasent yet so they had no choice but to send me to the hospital since i kept getting worse. though sick i made it into one of my friends who werent with us top ten memories from AB since he had seen me being wheeled away in a strecher while waiting in line. Ill eb beack this year though we have secured our spot in artist alley again and I will be back With No hospital visits this time!!!! I was one of the many L Lawliets that year. I was traveling with an Itachi Uchiha and I was the L that freaked out in the line for registration because someone wrote on the tape "I am Kira". I think I was the only one wearing converse and I was constantly eating because people kept giving me food. This forum is for Anime Boston 2008 memories. 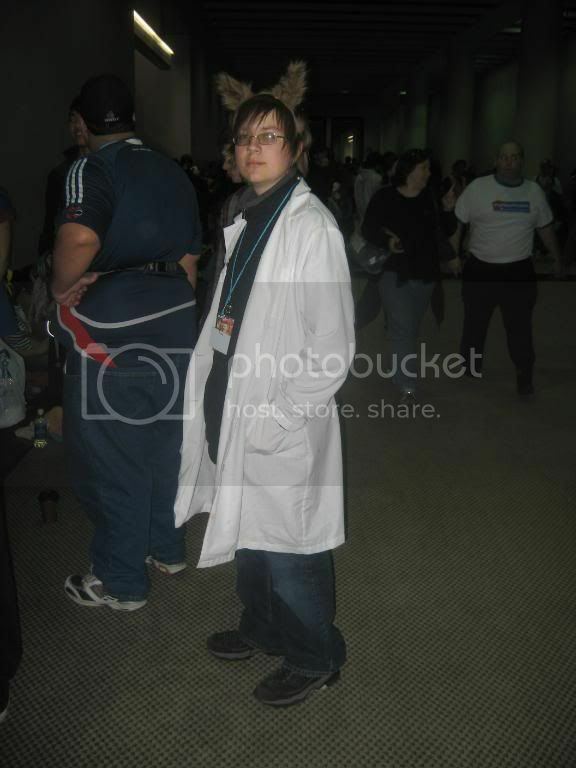 Please use the 2010 Memories for posts regarding this year's Anime Boston.